Lately I’ve been loving anything to do with figs. My Pinterest boards are full of them. To me they are just the essence of fall fruit. Dark and sombre, reminding us that winter is coming, but at the same time purple and juicy, reminiscent of summer berries. 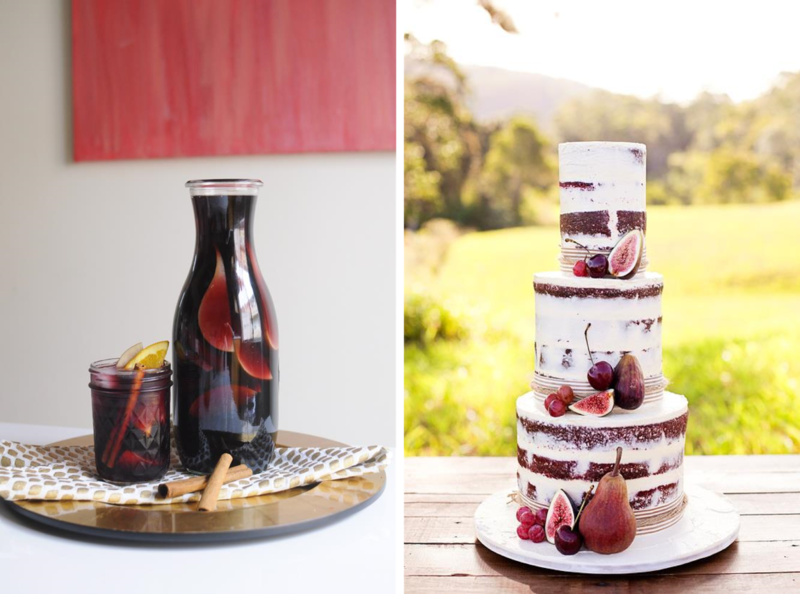 Figs as cake decorations, figs in salads, figs as party styling, and figs in other baked goods. Nothing is too tough for the fig to handle. Figs in everything. It figures. 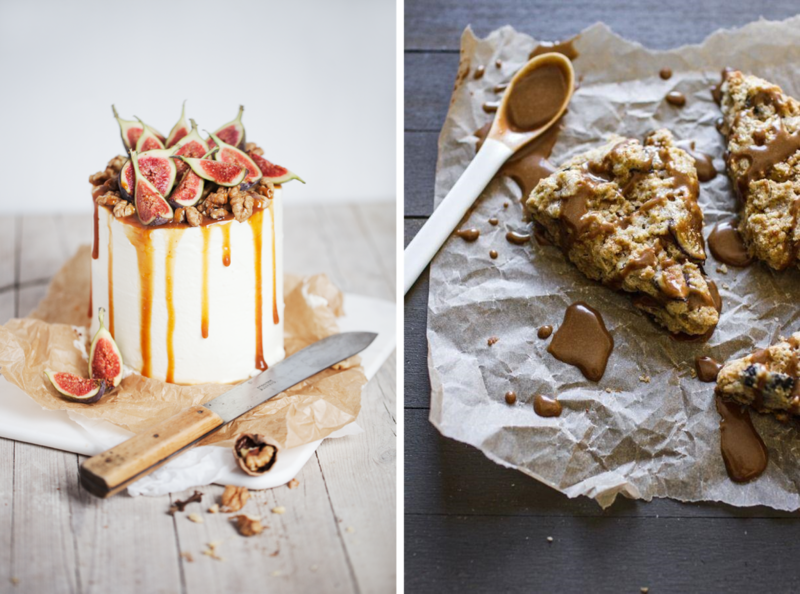 Pictures: Fig caramel walnut cake from Tortchenzeit. Vanilla bean fig scones from the Edible Perspective. Roasted cauliflower with figs and olives from Brooklyn Supper. 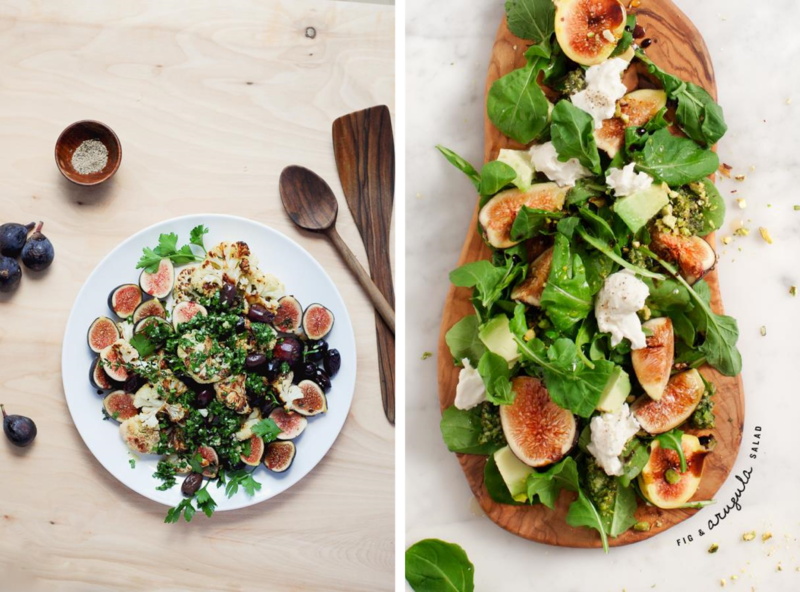 Fig arugula salad from Love and Lemons. Autumn bourbon sangria from The Life Styled (I cheated there are no figs in here, but I think they would be awesome). Naked red velvet wedding cake from The Polka Dot Bride. 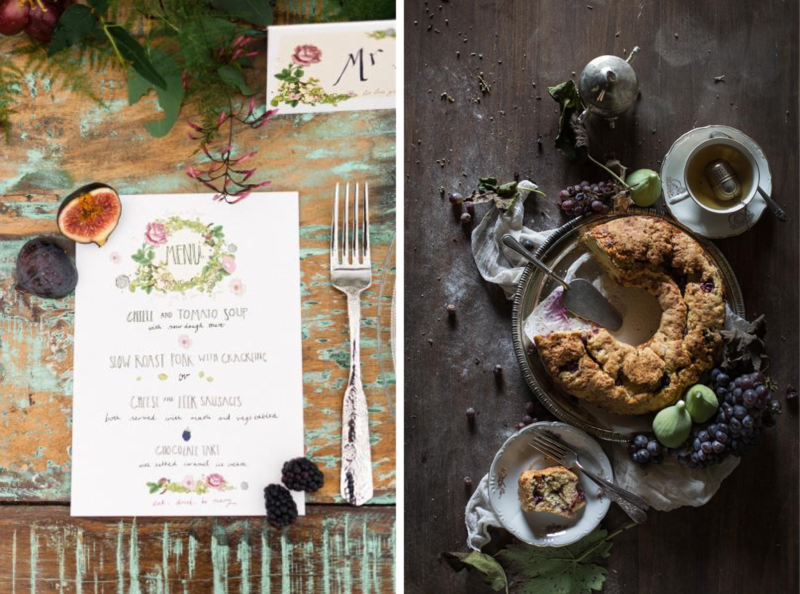 Botanical wedding inspiration from Style Me Pretty. Wine grape and fig ciambellone from Hortus.